I’m doomed. 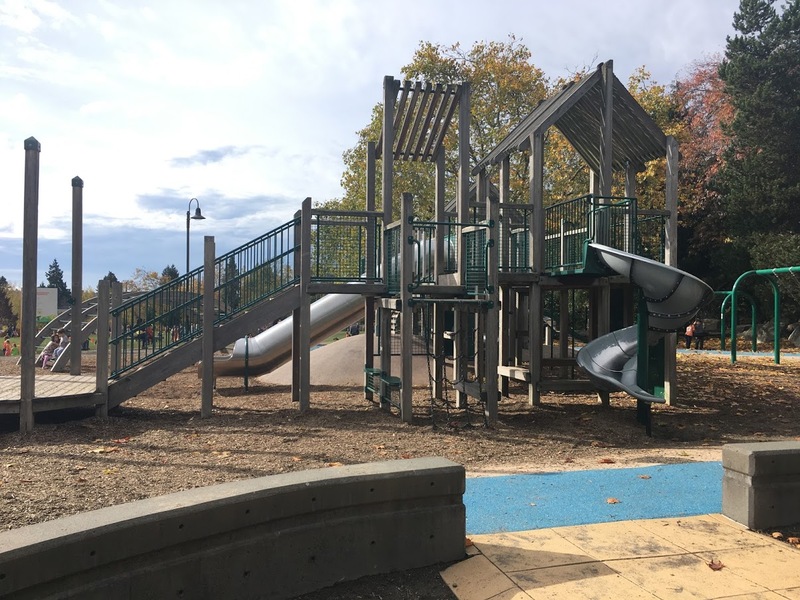 I just read on the Wallyhood blog that Wallingford Playfield’s playground is now closed. Given my past experience with construction projects I have no faith it will re-open before we move or my kids are too old to appreciate it1. That said, the proposed play structures do look very nice. Last 4th of July I was by myself because the kids were with Jaeger’s parents and Jaeger was still in San Francisco. I headed to Gas Works Park to view the festivities but it was a little crowded for my taste so I decided to wander around and see what houses were for sale. I like walking around neighborhoods because you see things that aren’t as obvious when driving. 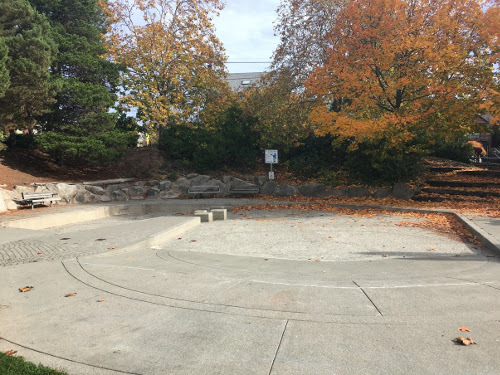 On my quest, I ended up walking through Wallingford Playfield and was delighted to see that it had a large wading pool. 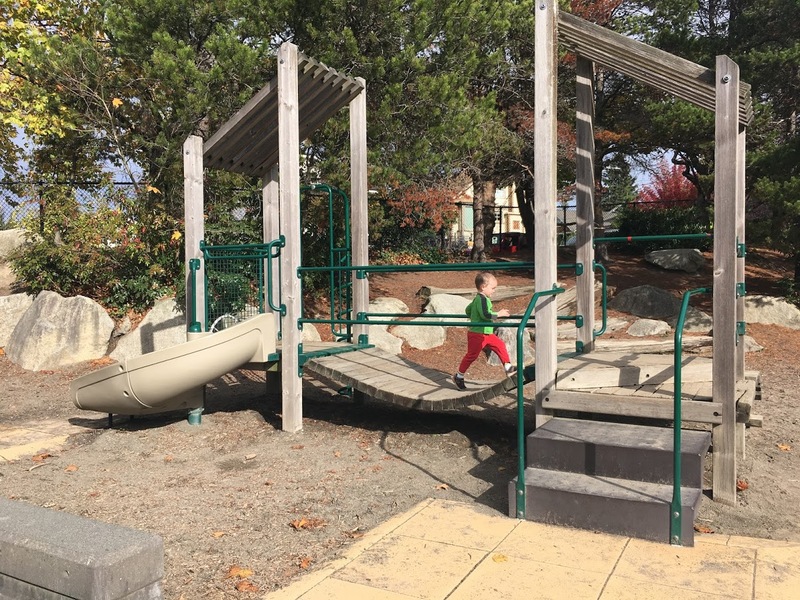 We ended up buying a house within walking distance of Wallingford Playfield2 and, on one of our numerous visits to the house, the kids and I dropped by the playground. Wallingford Playfield has a traditional-style playground. 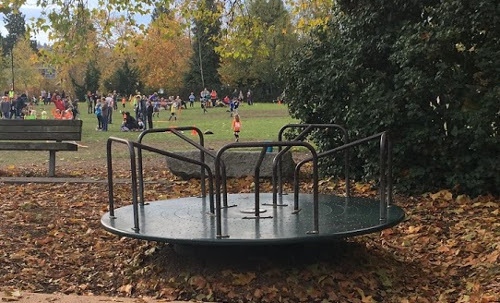 It has both a very nice structure for older kids as well as a smaller structure for younger kids. 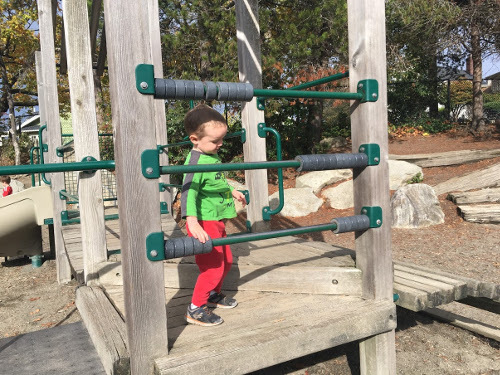 Julian enjoyed moving the rings back and forth on the smaller structure. Calvin was excited to see that the playground has a traditional merry-go-round. It also has a traditional tire swing. Julian loved the digger. 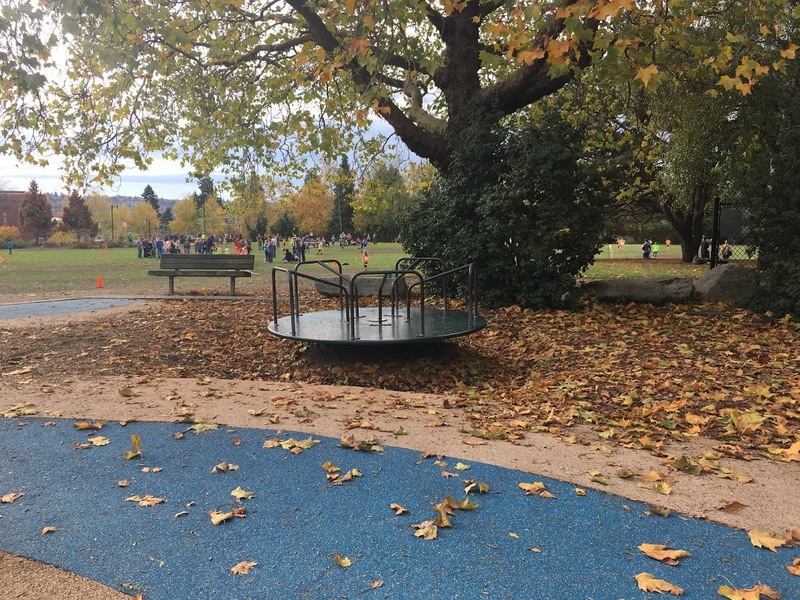 Unlike most playground diggers, this one isn’t in a sandbox. It’s just digging the surrounding dirt/mud. Julian also loved climbing the rocks that surrounded the play area. The wading pool had been drained for the season but I’m looking forward to taking the kids there next summer. Shade Leafy trees. The larger structure has a roof on some sections and underneath is fairly shady. Picnic area Yes, multiple picnic tables. Nicely balanced play structures. Something for every age. 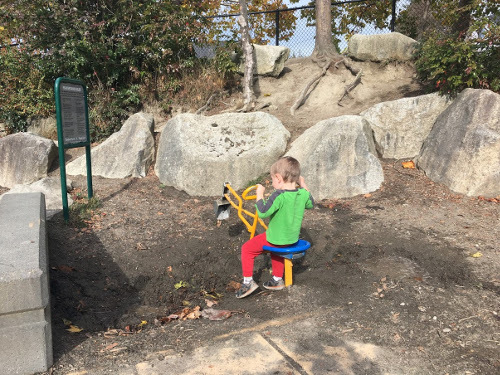 This entry was posted in Parks and Playgrounds on November 17, 2018 by kiesa.